Main purpose of POEMS is the continuous improvement of a product’s life cycle, through an environmental management system focused on products. Main purpose of the SWOT analysis is to evaluate strength and weakness of this management tool and to assess the requirements for the application of the New LCA in POEMS. “Product Oriented Environmental Management Systems” (POEMS) can be defined as Environmental Management Systems (EMS) with a special focus on the continuous improvement of a product’s ecoefficiency (ecological and economic) along the life cycle, through the systematic integration of eco-design in the company’s strategies and practices . 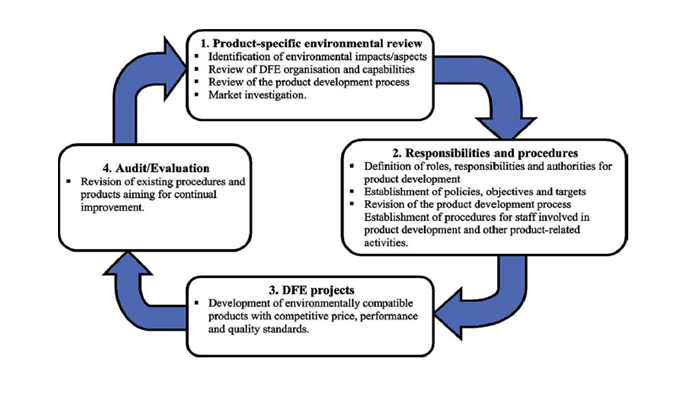 Tools for assessing environmental quality of products, i.e. Design for Environment (DfE) and environmental labels based on life cycle approach, and those dedicated to environmental management of processes (Environmental Management Systems, EMS), that started to spread in the 90’ in substantially separated spheres, are progressively integrating. Needs arise from firms and policy makers, for some important reasons: 1) incorporating product’s life cycle perspective into the product development process is a core requirement; 2) traditional EMS (ISO 14001, EMAS) do not encompass products in their procedures and do not answer to the needs of firms to communicate the environmental quality of products; 3) various approaches of ecodesign, even if it implies the cooperation between a large number of actors throughout the supply chain, often do not support certain aspects of environmental activities, for instance management viewpoint. The revision of the ISO 14001: 2004 and EMAS 2, confirm this orientation: the indirect environmental aspects associated to products and services, the aspects related to products and the supply chain and the activities beyond the direct control of the firm should be considered. – Communication of the Commission to the council and parliament, Bruxelles, 18.6.2003 –COM (2003) 302 on IPP. Besides this, a new management tool started to develop with significant experiences at international level: the POEMS, that can be defined as an EMS with a special focus on the continuous improvement of a product’s eco-efficiency (ecological and economic) along the life cycle, through the systematic integration of eco-design in the company’s strategies and practices . POEMS are not codified by any norms but international debates are going on from several years. In may 2001 a group of experts of different European nations discussed about the possibility to integrate aspects related to products in EMAS and ISO 14001 (Summary of Discussion at the 3rd IPP Expert Workshop – Environmental Management Systems, including Product-Oriented Environmental Management Systems). Some of the most significant experiences of POEMS in Europe have been analysed and discussed (in particular those in the Netherlands and in France), showing that POEMS has not a unique interpretation and type of application. The Dutch product policy can be seen as a starting point for the wide use of POEMS: in 1995 the government introduced a product policy with the intention of changing the behaviour of producers, to be accomplished through the implementation of Product oriented EMS . A substantial idea behind POEMS is that they should improve the co-operation in the entire supply chain (from material extraction to end of- life treatment) and are supposed to lead to concerted environmental action among the actors within a product’s life cycle, which is to be commercially beneficial . A change in focus of EMS, from site-specific to encompass the life cycle of products, is also motivated from an environmental policy perspective. If EMS to a greater extent encompassed products’ life cycles, they would be a better complement to the often facility-oriented legal requirements and authority control . Brezet and Rocha  state that ‘‘It is recognised that eco-design activities will be limited if they are not integrated into strategic management and the daily operations of companies in a dynamic process of continuous environmental performance improvements’’. Standardised EMS have the potential to remove this barriers to DFE implementation by establishing an organisational structure where procedures for the inclusion of environmental criteria are facilitated and such procedures are made permanent . Elements of POEM have been studied before also through closely related concepts such as Life Cycle Management or Product Stewardship. There are several different POEMS models and applications (especially large companies) at international level. Every firm has its individual needs, capabilities, etc. and consequently, it is not possible to develop a POEMS model that expressly fits every company. On the contrary, a model for a wide application must address the integration of EMS and DFE on a general level, allowing flexibility . Many of the POEMS models presented in the literature are based on the Deming cycle, i.e. the same management cycle as is the basis for ISO 14001 and ISO 9001 (‘Plan-Do-Check-Act cycle; PDCA cycle’). The basic idea behind this approach is to facilitate the establishment of POEMS that are compatible with many companies’ existing or future management systems or practices. According to J. Ammenberga et al. experience the following general steps of most of the product-related parts of a POEMS model can be stated as follows, see Fig. 1 . Firstly, a review of the product portfolio from a lifecycle perspective is carried out. The product-related environmental aspects are illuminated and it is determined which of these aspects are significant. Since this review to large extent should involve the products’ life cycles it encompasses important actors in the supply chain, contradictory to many reviews within normal EMS. Parallel to this process, a review of organisational aspects of DFE relevance should be conducted. This review brings knowledge together about the capabilities and weaknesses of the organisation and includes an investigation and clarification of the product development process. It is advantageous if these two review phases yield information on the existing and future market (e.g. information on future customer needs). Secondly, responsibilities and resources should be allocated and environmentally related procedures written for the product development process. It is recommended that environmental concerns should be incorporated from the beginning of the design process and handled as any other design parameter . It is important to have support from top management and to ensure that corporate visions, strategies and policies are in line with the intentions of the environmentally adapted product development process. Based on the initial reviews and relevant policies, product-related environmental objectives and targets should be established. Thirdly, DFE projects should then be performed at the operational level. These DFE activities should follow the procedures established in the second step and as much as possible use the information gained in the first step . Naturally, it is advantageous if the environmental concerns do not negatively affect the time for market introduction, price and quality. Cornerstones are a motivated and competent staff, projects involving the right persons, available information on environmental impact and the market situation, wellknown usable tools and methods, and sufficient technical capabilities. Fourthly, the POEMS activities must be evaluated/ audited, which is supposed to lead to a good base for reaching continual improvement. Based on these audit procedures, measures should be taken to continually improve the product-related environmental performance . o ” Selection of a number of EPIs (Environmental Performance Indicators) from the set defined for the sector and definition of minimum performance levels for each of them . As stated before, product profiling contains also products’ cost assessment; environmental benchmarking and position of products and market, external demands (i.e. legal or customer requirements), etc. and it is aimed at identifying where environmental problems are created in product life cycle in association with the location of potential improvement. activities to establish control and routinisation. Allocation of resources and responsibilities is important as well as empowerment of the staff. Actively involving aspects of POEM is currently done mainly on firms’ own initiatives, although stimulated by regulation and policy. In many of these approaches the responsibility of individual firms is emphasized . 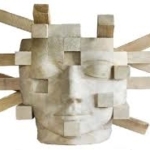 The POEM program in the Netherlands (in Dutch: Product en MilieuZorg or PMZ) is of particular relevance and has been developed with close cooperation between government and business. The objective of the PMZ was precisely to encourage and introduce a process of continuous product improvement and permanent product environmental innovation. The awarding of government grants stimulated the development of the concept, resulting in a guidebook for POEM , which is based on a plan-do-check-act cycle, known from quality management. This again highlights the relevance of the relationship between these management concepts . Until recently, the PMZ was mainly applied in the construction and industrial sectors, since 2000 the PMZ has been introduced in other sectors, such as agriculture, services and transport. A PMZ for Dutch outbound tour operators is an example of a recently introduced and interesting scheme. However, the PMZ is not a voluntary but a mandatory scheme. In December 2000, the Netherlands Association of Tour Operators (VRO) obliged its members (about 180 tour operators) to implement PMZ – a systematic method intended to improve the sustainability of products in the tourism chain by evaluating and adapting their environmental aspects. The tour operators were asked to contribute especially to the environmental (‘planet’) dimension of sustainability, but also to take into account the social-cultural (‘people’) and economical (‘profit’) aspects of sustainability . The introduction of the PMZ took almost a decade, and was extensively negotiated and both the implementation and its history have been subject to many debates, changes and even opposition. Unquestionably, the PMZ has helped tour operators to implement environmental friendly initiatives, however, the rather general criteria and lax entry requirements at this stage lead to an abundance of proposed actions by tour operators that are often ‘soft’ and indeterminate. Applying POEM thus involves the integration of different functions, continually looking across the borders of the individual firm into the product chain, and systematically trying to decrease the environmental impact of a product throughout its life cycle. . There are strong incentives to integrate DFE principles into standardised EMS  as it happens in POEMS. DFE thinking could enrich EMS by contributing a life-cycle perspective, helping the organisation to identify the most important flows of materials and energy upon which to focus. Consequently, from an environmental point of view EMS covering a wider scope would be preferable and make EMS a more useful tool when striving for a sustainable development. On an organisational level, integration of EMS and DFE activities could foster better relations with stakeholders, at least those actively involved in the supply chain. It could also improve internal co-operation among members of different departments. At the same time, EMS may be useful to make DFE efforts become more permanent, i.e. lead to consistent and systematic DFE activities . F.G.A de Bakker  affirms that firms will engage in a proactive environmental issue like POEM because of anticipated stakeholder pressures and/or because they expect to obtain a competitive advantage. If stakeholders demonstrate a growing environmental concern, better addressing such demands might lead to an improved firm performance and to a competitive advantage. – Integration with existing systems (ISO 14001, EMAS). There is a lack of knowledge concerning the effectiveness of POEMS and it is far too early to draw any general conclusions on the outcomes of such product innovation tool. However, important factors affecting this outcome can be identified on four level: legislation, incentives (e.g. stakeholder interests), resources, competence, availability of supportive tools and the amount of available information can be mentioned. It should be stressed that companies need sufficient drivers to engage with POEMS and the outcome greatly depends on to what extent environmental problems and challenges can be transformed into business opportunities . – Improved communication between all actors in the product development process. – The benefits of POEMS are hard to see at first by most companies, face to face contact is important to convince them. Publishing a brochure is not enough. – The way to implement POEMS can differ considerably from company to company. When developing methodologies this should be taken into account, offering flexibility in the use of the methodology. – The level and number of benefits that a company gains by implementing POEMS depends several variables including the enthusiasm for the project, existing environmental management system, previous experience with similar projects (i.e. cleaner production), etc. – Providing examples from other companies illustrating cost reduction, better environmental performance of the products is a very effective method to convince other companies. – Non standardization: no recognizability on the market, no diffusion. This barriers/limitation are much stronger (and many times insurmountable) for SMEs that in particular require very flexible and simple tools and methods. Although it is often taken for granted, it is also debatable, whether the companies always have a true interest in initiating environmental improvements in other stages of a product’s life cycle . If a company assists a supplier with environmental improvements it does not necessarily get the credit in terms of economical pay back nor image improvements. At least it is an extra challenge to obtain this. Furthermore, they may risk that the supplier leaves the present supply chain. On the positive side is the increasing interest for supply chain management and close product chains with sharing of information and innovation initiatives. Furthermore, ecolabelling and external demands to eco-design and LCA, as we see in the electronic sector, are among the external pressures today which can probably move some companies towards more product-oriented thinking . At a more general level, one should keep in mind that by nature of the production processes executed, position on the market, width and depth of the product assortment manufactured or traded, etc. some enterprises are just in a better position to implement product-oriented environmental improvements whereas others are in a better position to implement processoriented environmental improvements. Keeping this in mind, efforts to promote P-EMS should first target those enterprises that are in a position to initiate and drive the implementation of P-EMS in the production chains that these largely control . To promote implementation of life cycle based management in industries (POEMS, LCM, Dfe, …), demands for product focus should be incorporated strongly in EMAS and ISO 14001 and more simple and practical tools need to be developed and not least explained to the industry. Other barriers are that life cycle activities are long-term investments, where the environmental and economic results are difficult to predict . Product-oriented initiatives may be implemented in different phases of the management cycle and may deal with both technical aspects such as LCA, technical/social approaches such as EcoDesign and social oriented aspects such as product chain co-operation . According to the Dutch experience in the tourist sector è , the PMZ should be both broadened and deepened. The former means that eventually the PMZ should be directed more to the social (‘people’) and economic (‘profit’) dimensions of sustainability, instead of predominantly to the environmental (‘planet’) dimensions. The latter means that its actions should address not only consumers, but also –and more importantly – other actors in the tourism chain (local agents, transport companies, accommodation owners, guides). In studying the organizational process of POEM, links between the short and longer term must be emphasized, addressing both operational and strategic dimensions. Although attention for ‘products and the environment’ up till now mainly focuses on the development of system-technical approaches such as instruments and systems, ample attention to socialdynamic processes of organizing for this new product requirement is also needed. POEM might strike a balance between these different requirements . Since, the economical dimension and market potential are systematically utilised in product development, we think that in particular the social dimension of sustainability should be more considered in POEMS. In particular the critical social aspects related to the product life cycle phases (different methodologies could be applied) should be identified, quantified and be a part of the improvement program. – Allow the continuous improvement of the product life cycle from the environmental, social and economic prospective: allows gradual approaches and commitments by the firms; has an immediate effect on the environmental and social performances of products; it does not require pre-defined criteria. – Green Public Procurement: possible role of such systems in public genders (if standardized at least at national level). – Opportunity to start a different relation with the suppliers, that can be involved directly in the product improvement, and with the customers for a better and more sustainable use of the product (transparency and open dialogue along the product chain). The threats and barriers regarding the inclusion of the social dimension in POEMS are for certain aspects similar of those of the “traditional” POEMS, but they are focused on the complexity and difficulties for a firm (especially SMEs) in identifying the critical environmental and social aspects of the product life cycle (need of proper tools) and in the implementation of the improvement program. – Need of standardization of POEMS systems to be effectively recognized on the market (National/international norms and Program Operators? etc.). Need of new simplified tools to identify the most significant environmental, social and economic hot spots of the product/service along its life cycle? Separated tools for the 3 dimensions or integrated tool? F. G.A. de Bakker, O. A.M. Fisscher , A,J.P. Brack, Organizing product-oriented environmental management from a firm’s perspective, Journal of Cleaner Production 10, 455–464, 2002. R. van Berkel, M. van Kampen, J. Kortman, Opportunities and constraints for production-oriented environmental management systems (P-EMS), Journal of CleanerProduction 7, 447–455, 1999. C. Rocha, H. Brezet, Product-oriented environmental management systems: a case study. Journal of Sustainable Product Design, July, 30–42, 1999. F. G. A. de Bakker, Product-Oriented Environmental Management Lessons from Total Quality Management, Journal of industrial Ecology, vol. 5 number 2, 2002. VROM (Ministerie van Volkshuisvesting, Ruimtelijke Ordening en Milieu), Guidebook product-oriented environmental management: Environmental management within the product chain, Den Haag, the Netherlands Ministerie van Volkshuisvesting, Ruimtelijke Ordening en Milieu, 1999. R. Luciani, P. Masoni, C. Rinaldi, A. Zamagni, Implementation of a POEMS model in firms of the wood furniture sector”, in “Proceedings of 3rd international Conference on Life CycleManagement”, Zurich 2007. R.van der Duim, R. van Marwijk, The Implementation of an Environmental Management System for Dutch Tour Operators: An Actor-network Perspective, Journalof Sustainbable Toursim, vol. 14, No. 5, 2006. R. van Berkel, M. van Kampen, J. Kortman, Opportunities and constraints for Productoriented Environmental Management Systems (P-EMS), Journal of cleaner production, 7, 447-455, ,1999. J. Ammenberga, E. Sundinb Products in environmental management systems: drivers, barriers and experiences, Journal of Cleaner Production 13, 405-415, 2005. C. Rocha, S. Silvester. Product-oriented environmental management systems (POEMS). From theory to practice-experiences in Europe. Extended abstract published at the Proceeding of the 1st life cycle management conference in Copenhagen, 2001.